Probably less than £20. Have a look on eBay there are plenty for sale. The box may be the most valuable bit. Why not post a picture ? As Gully said, you'll be lucky to get £20 on eBay. 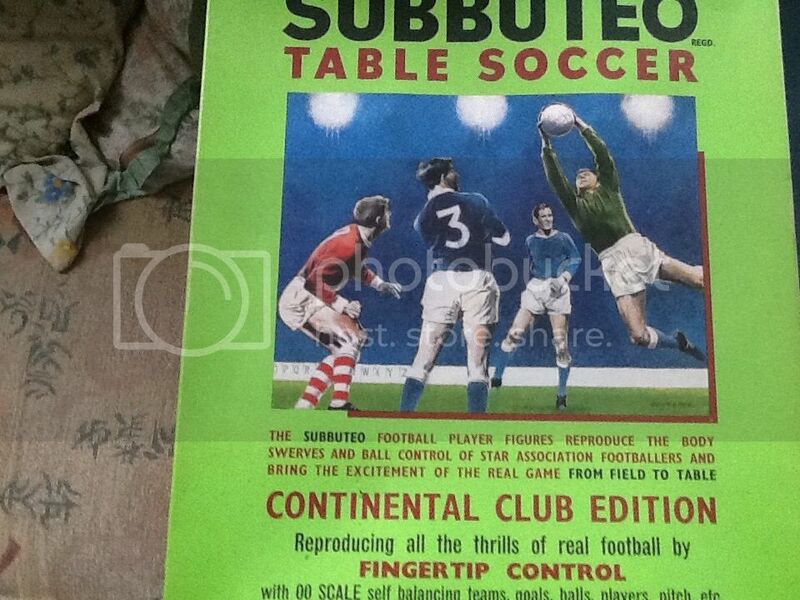 Look at the other Continental Club sets on offer and be honest with yourself in you comparison with their condition and that of your set. There's a lot about and as a result dont fetch good prices. I have 3 or 4 sets which i have had on ebay a few times and taken to Renishaw several times and never sold. There doesnt seem to be a big demand for box sets in general , even the larger floodlighting sets. I find it's really only the HW World Cup and of course the Munich sets that attract interest. agree with the other replies. Not a rare item nowadays so don't expect a fortune. makes no difference whether its for charity or not!!! Ebayers won't be bothered about that. If you are wanting a generous buyer you'll probably have more chance finding one at a charity dinner.